TEMO sunrooms boast superior design, quality workmanship, and one of the best warranties in the sunroom industry. And, in Minneapolis, Minnesota, these are available from just one TEMO dealer – U.S. Patio Systems and Home Remodeling. We proudly install TEMO sunrooms and many of its other outdoor living structures, including patio covers, screen porches, pergolas, and pool/spa enclosures. Having a TEMO sunroom installed will give you and your loved ones the opportunity to spend more time enjoying the outdoors without having to worry about foul weather, pesky insects, or the damaging ultraviolet (UV) rays of the sun. 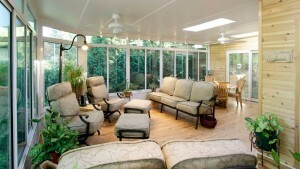 Of course, not all TEMO sunrooms look alike. TEMO offers a variety of sunrooms styles, including Studio, Cathedral, California, Solarium, Conservatory, and Santa Fe. At U.S. Patio Systems and Home Remodeling, we are experienced at installing them all and will be pleased to help you select the best style for your home from among those that TEMO manufactures. We are a dealer of TEMO sunrooms because they are the very best products of their kind available. They are beautiful, long-lasting structures that are built with pride in America. For more information about TEMO sunrooms, please contact U.S. Patio Systems and Home Remodeling, a Minneapolis-based TEMO sunroom dealer and leisure space specialization company.